Construction paper: $1.99. Not grocery, but I usually buy little things like this with my grocery budget. 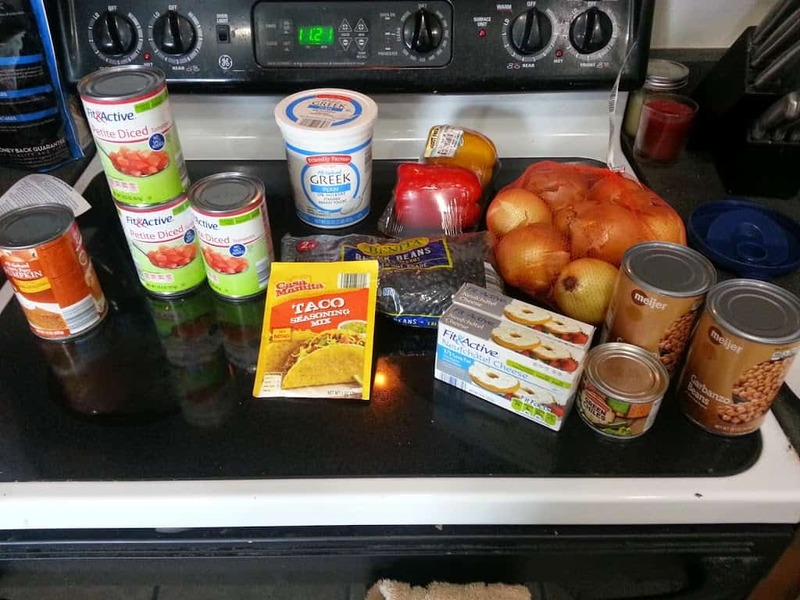 Taco shells: $2.09. Mad at myself over this one; I thought these were the ones on sale for $1, but I didn’t pay enough attention. Guacamole: $2.99, used a $1/1 coupon to make it $1.99. Steel cut oats: $3.50, used a $1/1 coupon to make it $2.50. Coffee creamer: $1 each! This is a great price for the 16-oz bottles, even without coupons, so I had to stock up. 4 2-liters: $1 each, used two $1/2 coupons to make them $.50 each! 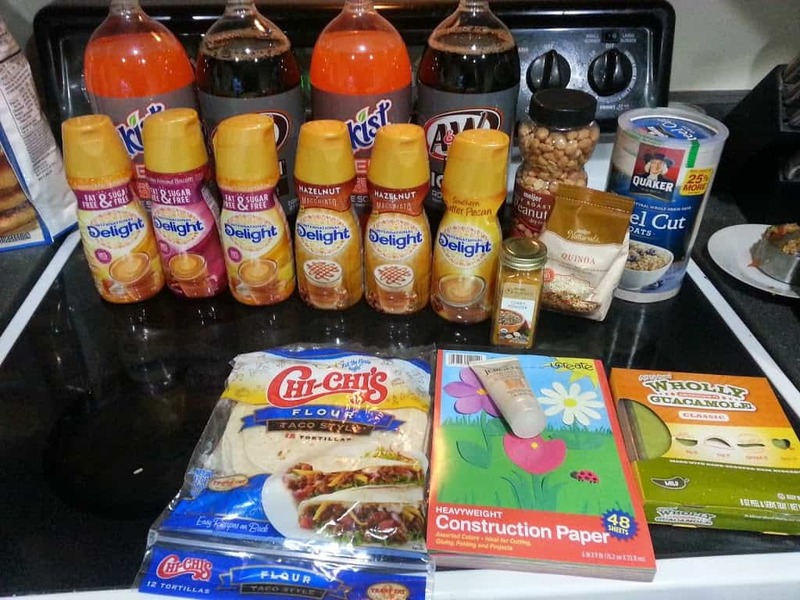 I also had a 5% off Grocery mPerk and 10% off General Merchandise mPerk, which took off $1.60 from all this! 2 cans garbanzo beans: $.85 each. These are from Meijer; I had to make another trip because Aldi didn’t have these. Green chiles: $1.09. Same as above. Under our weekly budget, but it makes up for the overage we had last week. Did you find any good deals this week? Share below!